NATIONAL ART MUSEUM OF CATALONIA Montjuic’s main focus. 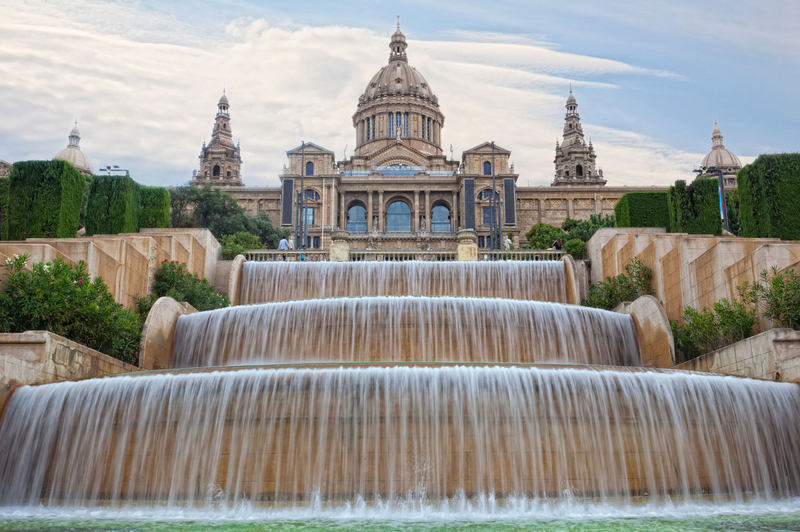 This outstanding museum raise above fountains and stairs, and its famous for its collection of Romanesque church paintings and modern catalan art and design. BARCELONA PAVILION Design by Mies van de Rohe, this famous building is the archetype of modern architecture: extravagant materials, minimalism and the iconic Barcelona chair. MONTJUIC CASTLE This castle has played a decisive role in Barcelona’s history. From the Napoleonic Wars to the Spanish Civil War. Now, it’s a Military Armor Museum. MONTJUIC COMMUNICATION TOWER Visible from all over the city, this 136 meter tower designed by Santiago Calatrava represents an athlete holding the Olympic Flame. MONTJUIC CABLE CAR An interesting way of seeing Montjuic and Barcelona, this cable car goes from La Barceloneta beach to Montjuic top. MONTJUIC CEMETERY Located on one rocky sloop of the mountain, this cemetery is well known for its sculptures and memorials.